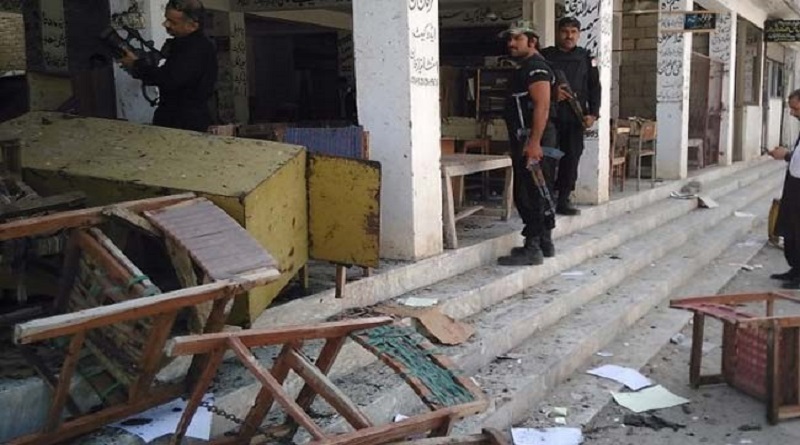 It has been reported on early Friday morning that at least twelve people have been killed and forty wounded after a suicide bomber attacked a district court in Mardan. The bomber threw hand grenades before detonating a suicide vest among the morning crowd at the court. The blast comes three weeks after a massive suicide blast killed numerous lawyers in Quetta, Pakistan. Pakistan’s legal community are frequently the subject of targeted killings and small-scale attacks by militants, who are also known to hit soft targets such as schools.